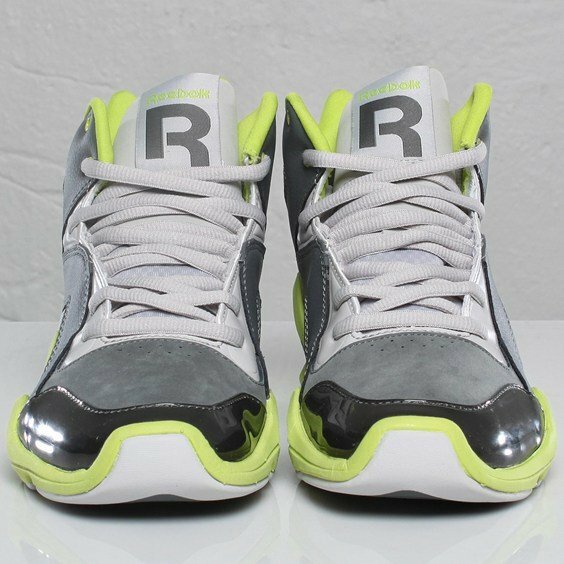 Last week we brought you a look at the Black/Team Dark Royal/Steel colorway of the Reebok Kamikaze III. 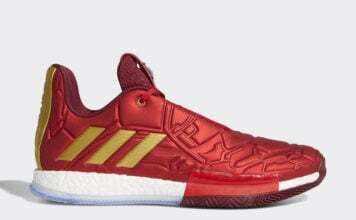 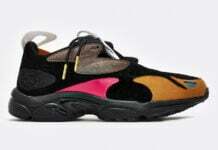 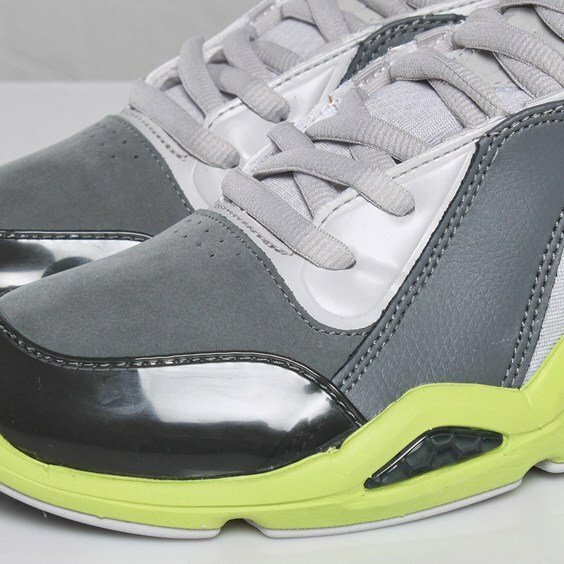 Now, another colorway of the Swizz Beatz collaboration has popped up. 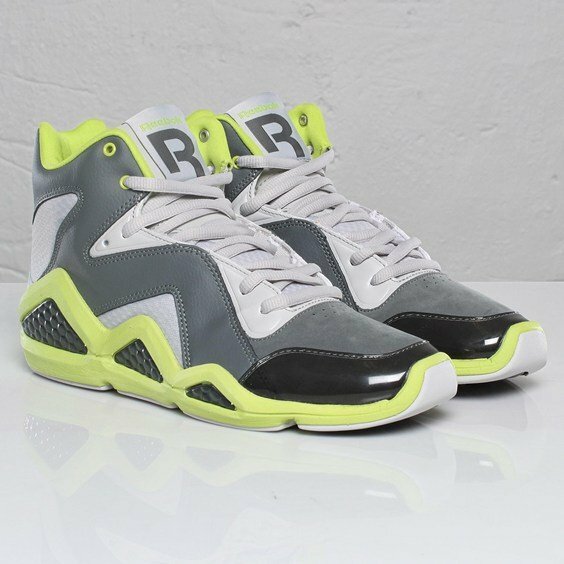 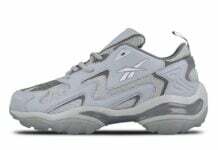 This Kamikaze features an upper of grey tumbled leather, patent leather, and nubuck with hits of steel on the tongue, laces, and around the heel. 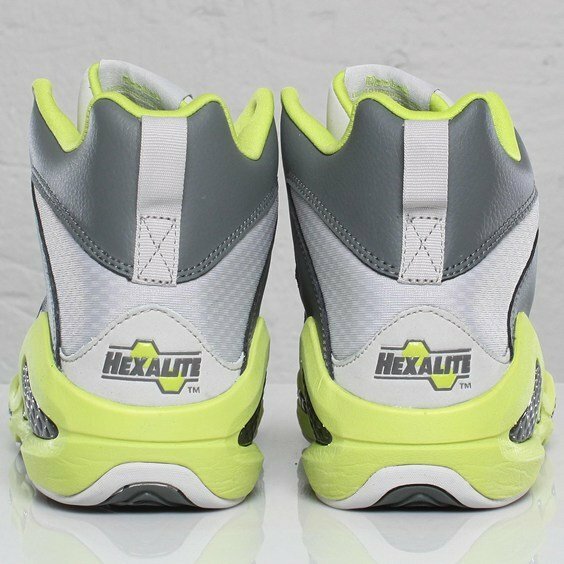 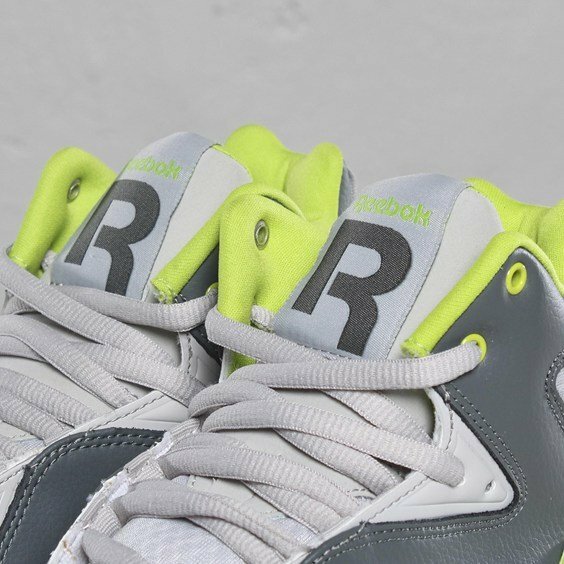 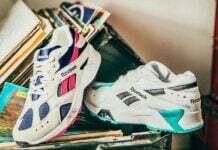 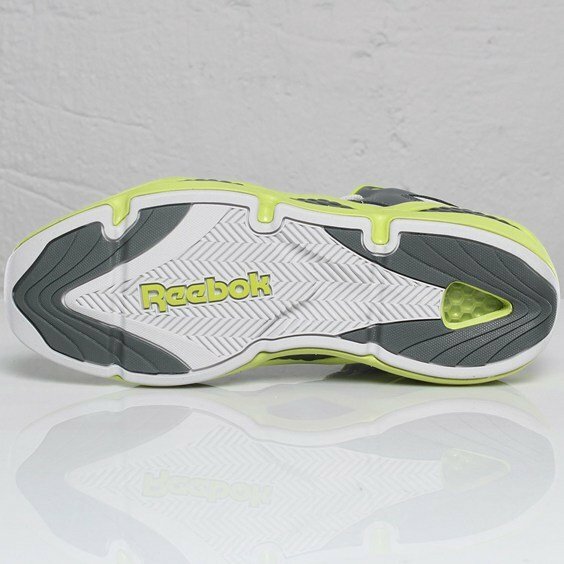 The kicks are finished off with a green inner lining and signature Reebok Hexalite midsole. 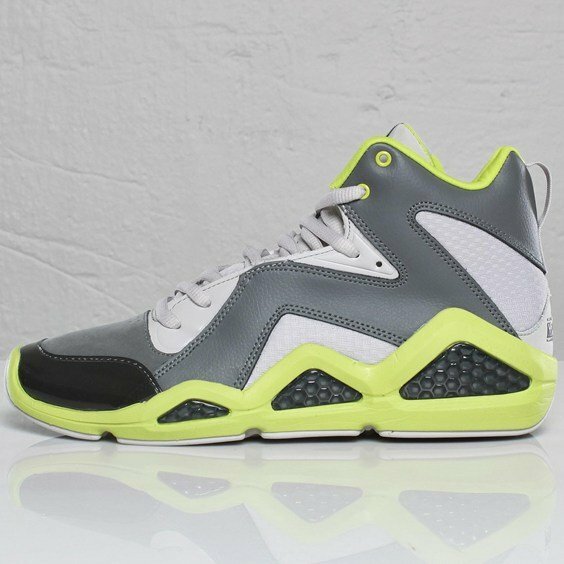 The Rivet Grey/Steel/Green Kamikaze III is set to drop September 28, but can be had early overseas from SNS.